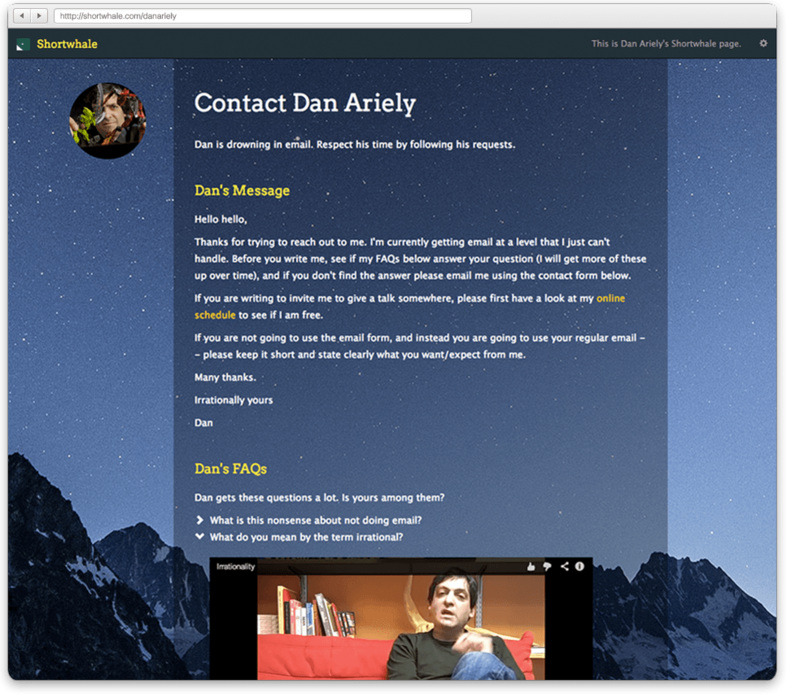 Receive fewer, shorter, and better emails. They will understand that you're drowning in email and will follow your requests. 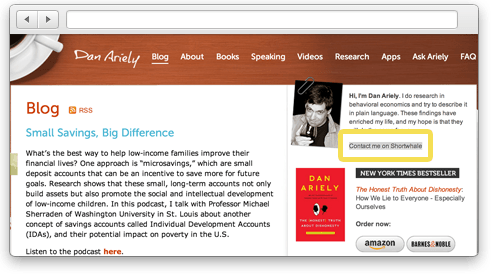 Link from your website, blog, or About.me page. No need to publish your email anymore. Shortwhale does not have access to your inbox, and messages sent via contact form are not stored. Some people will find their answer in your FAQ or will realize that it’s not that important after all. 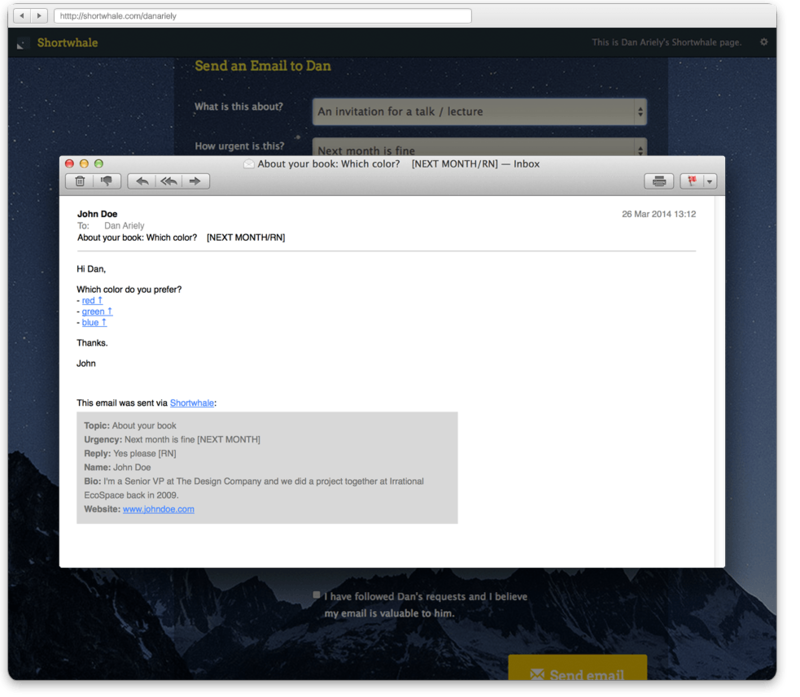 Unsolicited messages sent via contact form are limited to 500 characters. People will understand how you prefer email and will follow your requests. Use filters in your email client to group and sort messages, for instance by topic. See how many people have visited your Shortwhale page but have decided not to email you. There's nothing to install. 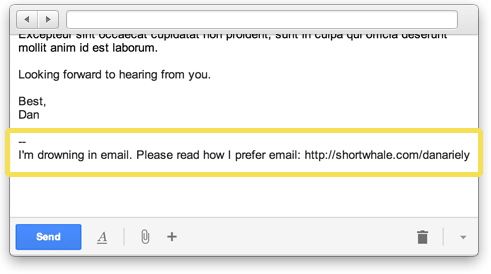 Shortwhale works with every email client. It takes 5 minutes to set up and saves hours – every month. 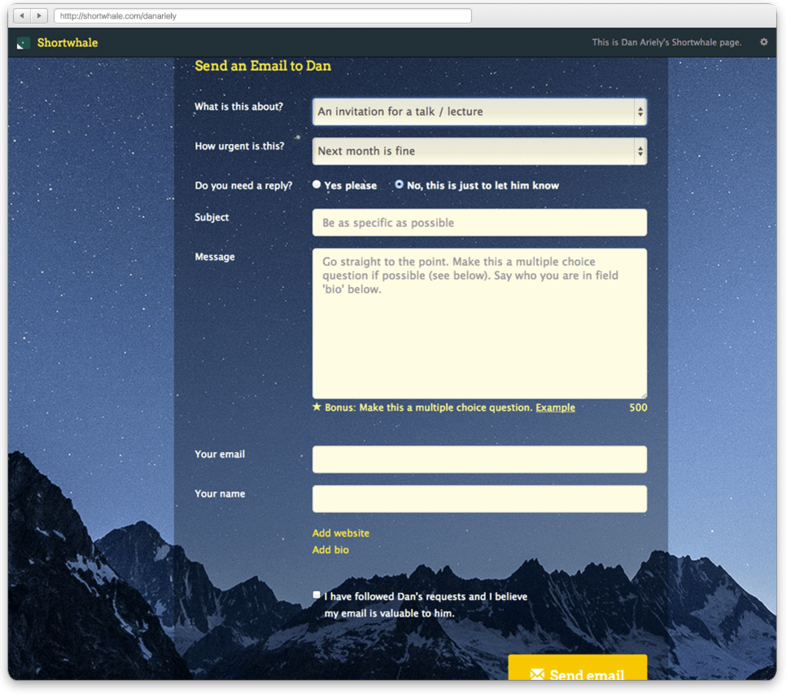 If you get lots of (unsolicited) email, please give it a try and let us know what you think. PS: We're inspired by Chris Anderson's Email Charter, five.sentenc.es, Merlin Mann's Inbox Zero, and other similar ideas.